This is a simple customizable stone/rock/asteroid generator. Every customization generates 10 random stones based on customizer parameters. 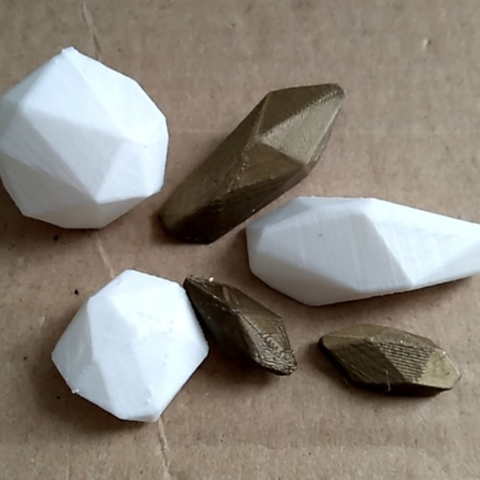 Number of corners: More corners generates more spheric stones. Z scale: Affects to height of stone. Also a good stub for OpenSCAD users. 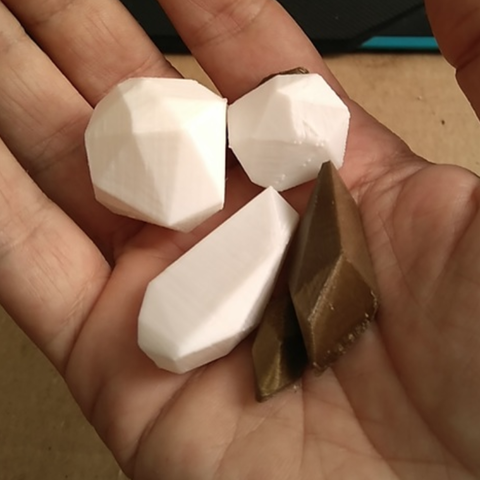 You may need supports for some stones depending of how you reorient the figure.